A variety from East Malling with a superb sweet flavour, heavy yields and excellent shelf life. 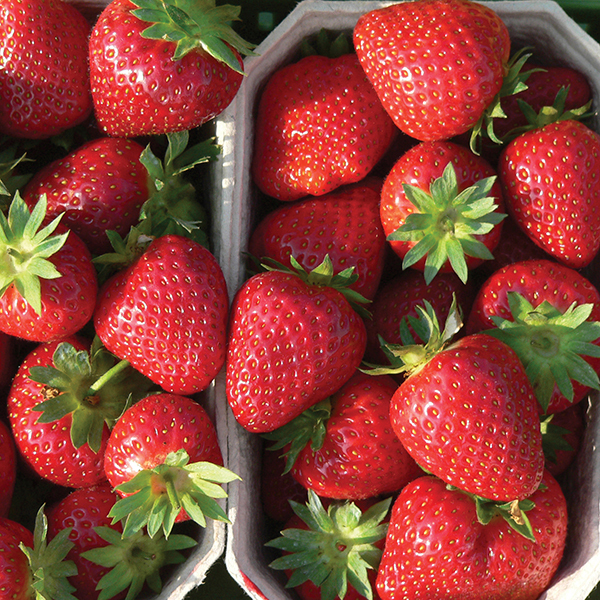 Bred for good old fashioned strawberry flavour - one of the best varieties we have tasted. Harvest June. The bright and glossy orangey-red fruits which are really juicy and have a very sweet strawberry flavour - just irresistible when eaten fresh! The berries are uniform in shape and have a firm texture - top in our taste trials! Ready for picking from mid June through to end of July. One of the best late cropping varieties available with large, bright red fruits, cropping well through to the end of July/early August. 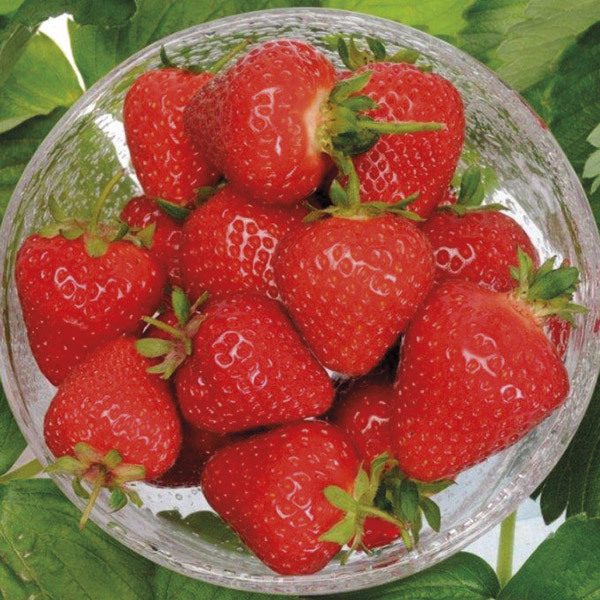 The sweet tasting berries have bright red flesh too and show excellent disease resistance. A+ grade plants are grown through the summer months and covered with fleece in the beginning for added protection – only plants with a 15mm+ diameter size fall into this grade. 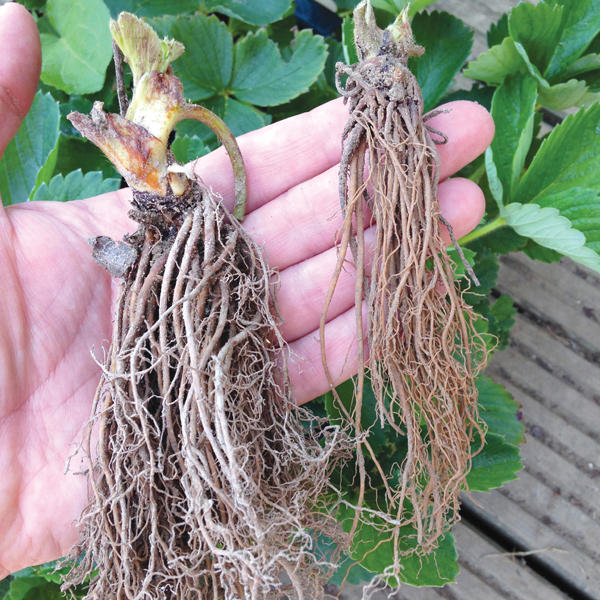 The bare roots can be planted out as long as the ground is not frozen down to root level. They are characterised by having very well developed root systems and, on average, will go on to produce 3-4 trusses per plant which in turn will help to generate more flowers and fruit – 400g+ of berries per plant! We trialled A+ grade plants against standard runners in our trials and were very impressed with the results – around 50% more berries were harvested from the A+ grade plants!